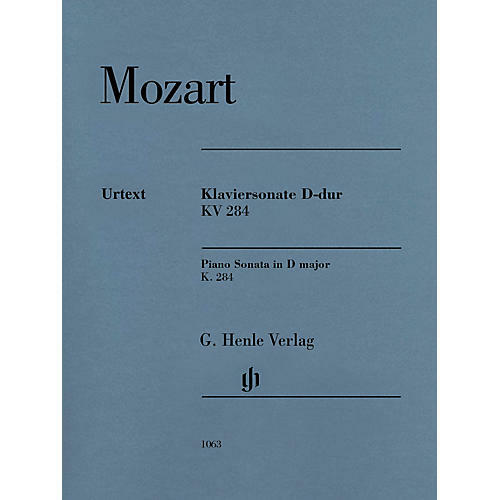 The Sonata in D major is the last of the Six Sonatas K. 279-284 that Mozart had in his luggage when he set off for Paris in September 1777. He had already successfully performed this music in Munich, Augsburg and Mannheim, a fact he proudly told his father back at home. He gave the works particularly rich dynamic markings and also found unusual solutions concerning their formal aspect, for instance having a slow Rondeau en Polonaise as the middle movement of the Sonata in D major. The six sonatas, which were previously only published together in the complete volumes (HN 1 and 3), are now all available as single editions with new prefaces.